PHUKET: Phuket this morning held a Buddhist ritual for the ashes which remained from the Dok Mai Jan burning ceremony held last night as part of the Royal Cremation ceremony for the late King Bhumibol Adulyadej. 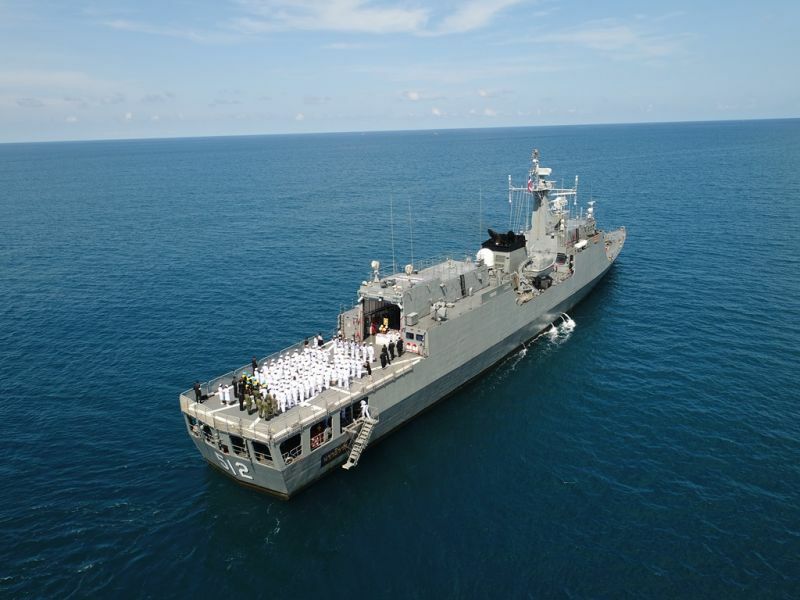 The ashes were then taken by five-vessel fleet of Royal Thai Navy ships to the Andaman Sea off the coast of Phromthep Cape where they were scattered by officials including Phuket Governor Norraphat Plodthong. At 8am today (Oct 27), Gov Norraphat led a merit-making ceremony at Phuket’s Royal Crematorium replica at Saphan Hin Park where he was joined by other high ranking officials and nine Buddhist monks. At 10am, after completing Buddhist ritual, Gov Norraphat led officials in removing the ashes of the Dok Mai Jan from the replica and scattering them at Phromthep Cape at the southern most point of Phuket. 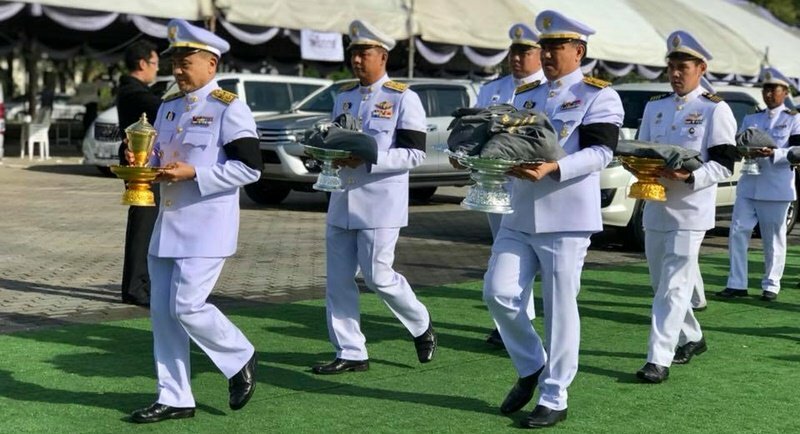 An urn and bags containing the Dok Mai Jan ashes were first taken to the Royal Thai Navy Third Area Command base in Cape Panwa, where officials boarded five Navy ships and headed to Phromthep Cape. Once arriving there, Gov Norraphat led officials in scattering the ashes into the Andaman Sea. In addition, an urn and bags containing more Dok Mai Jan ashes and the Royal Nine-Tiered Umbrella – considered the most sacred and ancient of the royal regalia of Thailand and also called a chatra and which sat atop the Royal Crematorium replica at Saphan Hin – are be kept in a Royal Temple Mongkol Nimit (Wat Klang) in Phuket Town. Meanwhile, estimates for the number of people who took part in yesterday’s Dok Mai Jan laying ceremonies has now increased from 60,000 to 92,000.